Sage Health offers high quality and affordable patient care solutions, whether you a professional care giver, hospital or a family member looking after a loved one we can help! 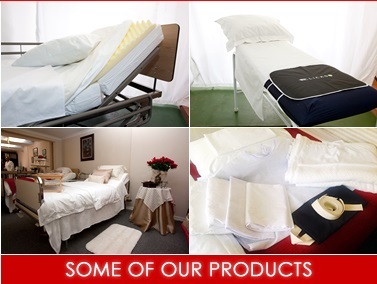 Our products range from mattress protectors and customized fitted sheets to hydraulic hospital Beds and mattresses. As patient care specialists we understand that the 3 most important things to a patient is comfort, dignity and affordability and this we ensure with both our service and every product in our range. Our staff and expertise along with our carefully selected product range ensure you that you get everything the patient could possibly need as effectively and efficiently as possible. With our Hydraulic beds the patient is assured comfort whether in hospital or at home, and also the dignity of a functional hydraulic bed that looks good. The reason for the success of our patient care solutions and hydraulic beds is in the time our specialists spend with the primary care giver or institution finding out exactly what the needs for that specific patient or group of patients is and then delivering timeously. Empowering families and the health sector to provide those in need with the care we would all want, has and will always be our primary focus. Hydraulic Beds also known as hospital beds is one of the first decisions when looking into a home care solution for a patient whether you are a professional caregiver or family member. To ensure you have the correct foundation for looking after your patient we have listed below the functions of our Hydraulic beds to ensure you understand what is important to the patient in need. Hydraulic Beds are designed for patients who are bedridden and spend most of their time in bed. The Hydraulic Bed is height adjustable this allows the caregiver to bed bath the patient at hand level and appropriate height with no strain, At an Adjusted able lower level the patient if able can be get out of the Hydraulic Bed with ease and it assists the caregiver with helping the patient out of bed. The Back section of the Hydraulic Bed adjusts to different heights, which assists with eating meals and drinking fluids in a comfortable position, also for patients that suffers from acid reflux, assists with breathing and sleeping. Cot sides fits securely and onto the Hydraulic Bed. 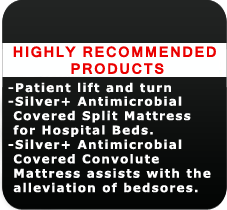 Protects the patient from falling out of the bed, reduce the risk of injury when asleep. -Maintaining the dignity of the Patient.